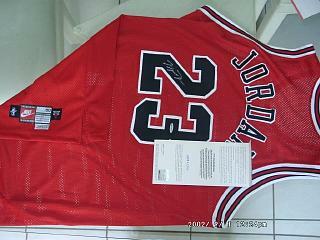 Michael Jordan UDA Red Bulls #23 Jersey Pro Cut-Size 50+4. 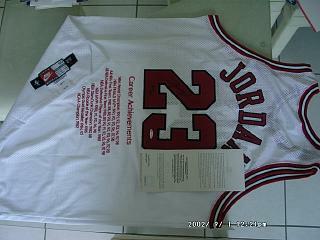 Michael Jordan UDA White Jersey #23 Career Stat #d 54/123 97-98 pro cut-size 50+4. 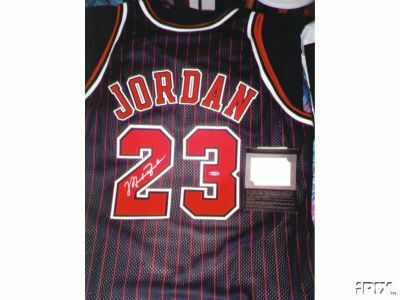 Michael Jordan UDA signed Black Pinstripe Champion size 52 Jersey with sewn #'s and letters. 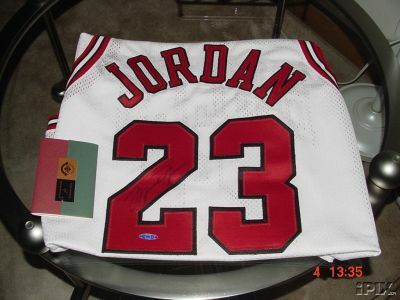 Michael Jordan UDA White Bulls #23 Jersey Pro Cut-Size 50+4. 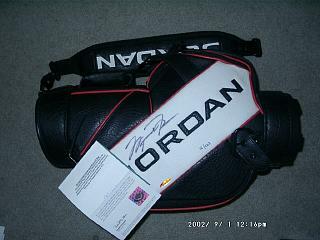 Michael Jordan UDA Autographed Customized Mini Golf Bag #d 12/123. 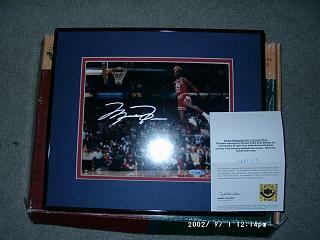 Michael Jordan UDA 8x10 Autographed Dunk from Free Throw Custom Black metal Frame with matting. 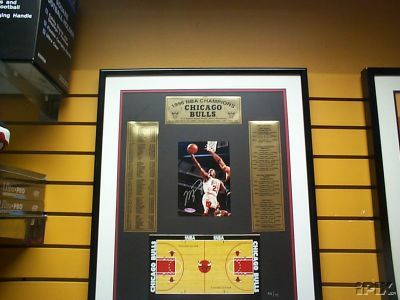 Michael Jordan UDA Framed 5x7 Photo Signed and Replica Floor Piece 1996 Bulls #d 46/72. 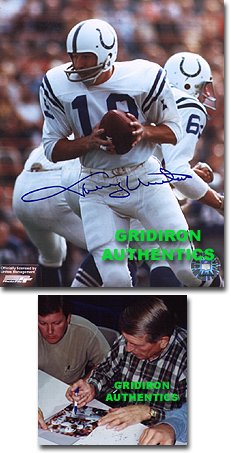 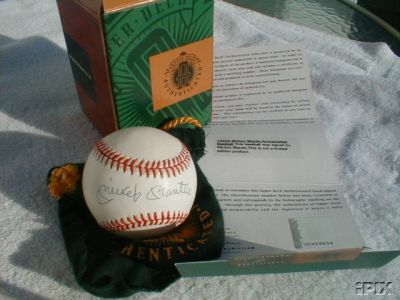 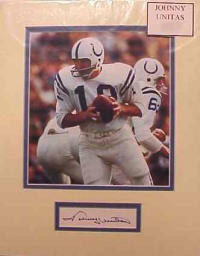 Mickey Mantle UDA Signed Baseball with Felt Bag and Baseball Holder. 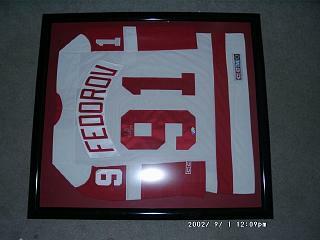 Sergei Fedorov CCM Redwings Autographed Authentic Jersey with Playoff Hologram and COA Custom Framed with Red Matting. 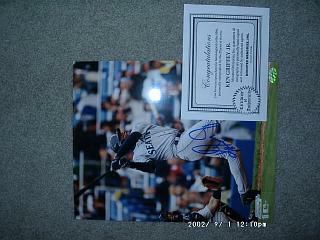 5 Available: #1 Ken Griffey Jr. 8x10 Mounted Memories Mariners Autograph with Holo and COA. 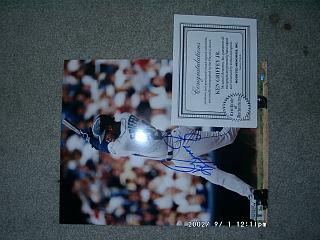 5 Available: #2 Ken Griffey Jr. 8x10 Mounted Memories Mariners Autograph with Holo and COA. 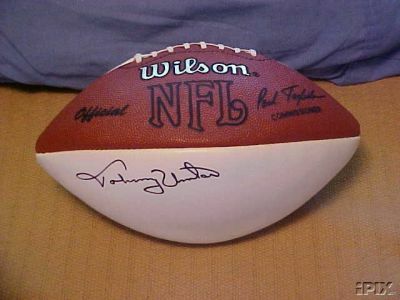 Alex Rodriguez Mounted Memories Seattle Mariners 16x20. 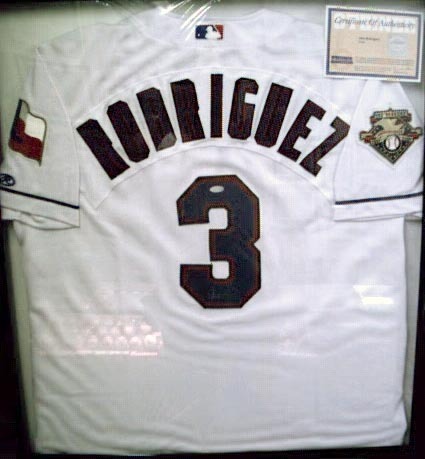 2 Available: Alex Rodriguez Steiner Signed Authentic Rangers home Jersey. 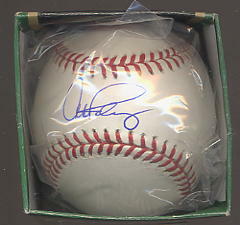 10 Available: Alex Rodriguez Steiner Signed Baseball. 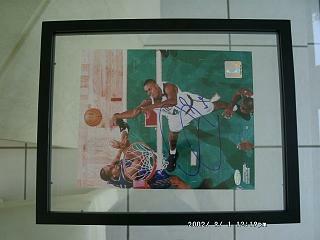 Paul Pierce Steiner 8x10 Boston Celtics Beautifully Framed.